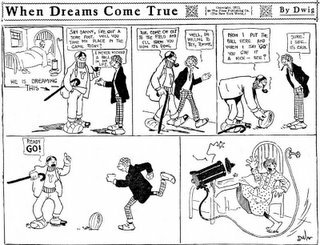 Clare Victor Dwiggins, better known simply as Dwig, was one of the most prolific and talented cartoonists of all time. Today he’s best remembered for his Tom Sawyer/School Days strip, and his Ophelia character. But that’s just the tip of the iceberg. Dwig created dozens of different series, some of them short-lived like our obscurity of the day, When Dreams Come True. 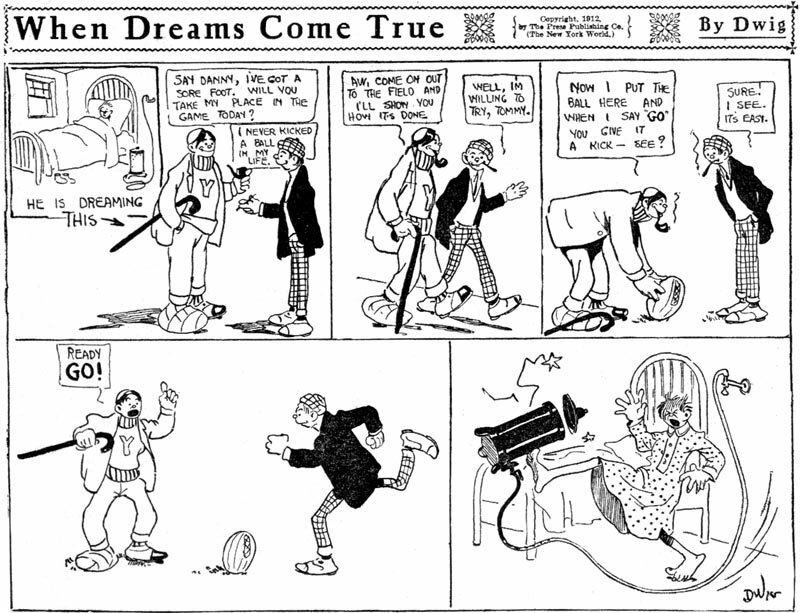 This series ran in the New York Evening World (syndicated by Press Publishing Company) from 10/21 to 12/24/1912.